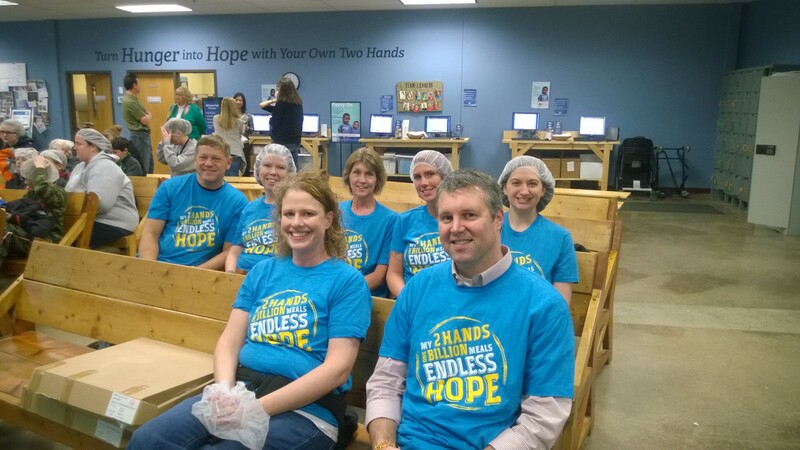 On Friday, December 12, 2014, seven Tecmark employees volunteered to pack meals at Feed My Starving Children in Eagan, Minnesota. We packed MannaPack Rice, consisting of rice, soy nuggets, vitamins and minerals, and dehydrated vegetables. A single bag of food provides highly nutritious meals for six children and only costs around $1.32 to produce. When we first arrived, we began checking in and putting on our hair nets. We got to hear statistics about hunger and see the impact Feed My Starving Children has had on children in need of nourishment. After washing our hands and putting on gloves, we got to start packing the food. We packed bags full of the ingredients and sealed them in order to put them in boxes to ship to another country. During the two hours we volunteered, our group alone filled 22 boxes, consisting of 36 bags each. That's 792 bags of food, at 6 servings per bag. 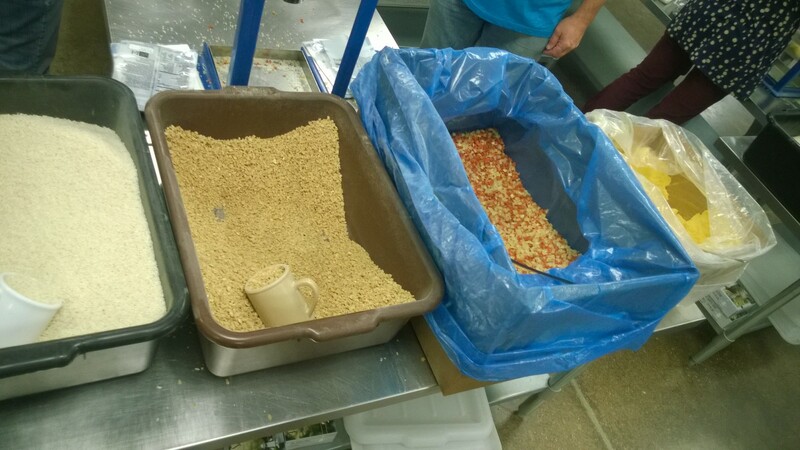 This means we packed 4,752 meals in just two hours. 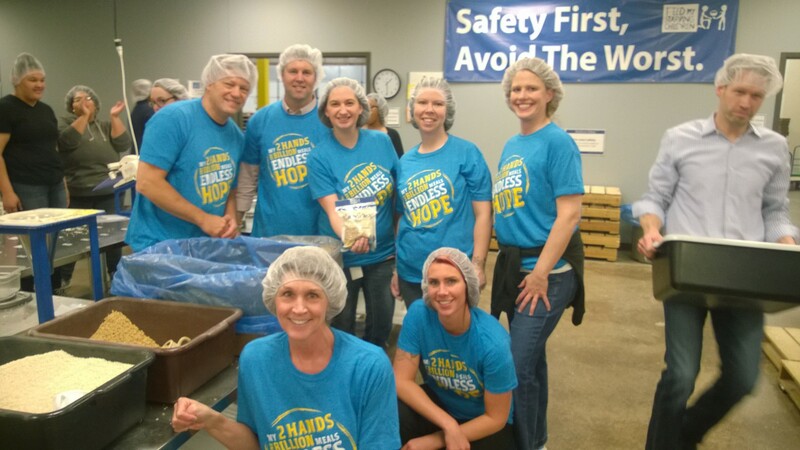 Our entire volunteer group of 117 people packed 128 boxes, equaling 27,648 meals. Together, we all fed 76 kids for an entire year! 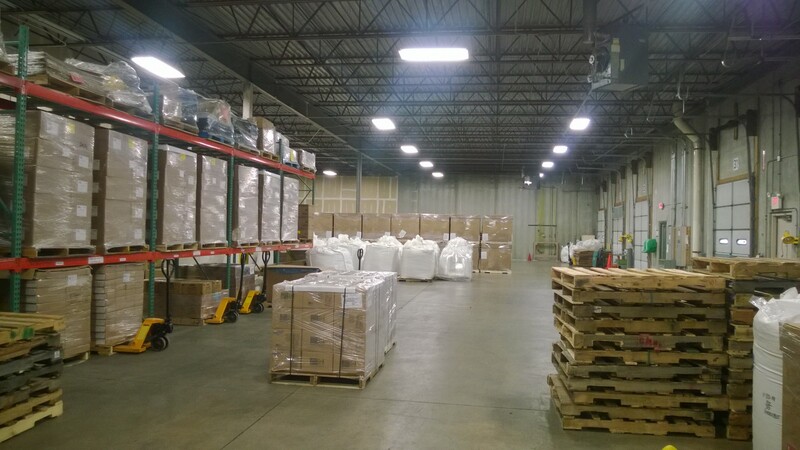 The food we packed was being sent to children in Haiti. After we were done packing the meals, we cleaned up our areas. We then went into the warehouse to partake in a blessing of the food. After that, we returned to the front area and saw a story of a little boy in Haiti who couldn't walk because he was so malnourished. He began eating food from Feed My Starving Children and his health progressed rapidly. 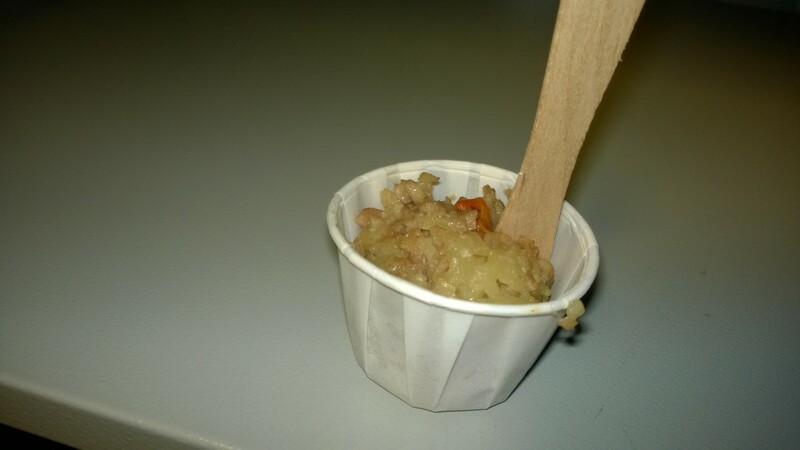 We were given the opportunity to taste the food we had just packed, after it was prepared. I think we all left Feed My Starving Children that day with an enhanced perspective. We have all learned to be thankful for what we have been given, as it isn't always given to everyone. Although it was heart-wrenching to see what the children experience firsthand in their starvation, it was inspiring and eye-opening. We hope to volunteer for Feed My Starving Children again soon!